When a cat's fur is dotted with little white flakes, it could be dandruff. Dandruff may seem like a harmless condition but may be a symptom of a medical condition or skin allergy. Along with the white flakes, you may notice that your cat is scratching more (especially around the ears) and the skin in the affected area is red an inflamed. The inflammation is an immune system response and the dandruff can be one of many symptoms. 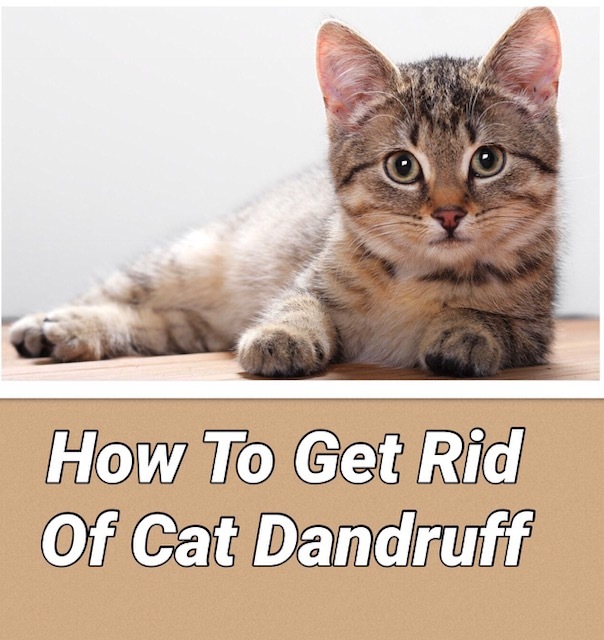 Some of the most common causes of cat dandruff are allergies, poor diet lacking essential omega 3 fatty acids, diabetes, hormonal deficiencies, and poor grooming (often occurs in older cats). It is important to see your veterinarian to determine the cause of your pet’s dandruff, as some conditions will require medical treatment. Amazing Omegas is a researched-backed, concentrated, therapeutic fish oil providing a powerhouse of Omega 3s in just a few drops. These omega 3s can give your cat a lustrous, beautiful coat and help eliminate dandruff. Power Probiotic- essential for your pet's good health. Supports digestion, helps fight infection and enhances overall immunity. A healthy GI tract ( proper balance of good and bad bacteria) allows your cat to more effectively absorb vitamins, minerals and amino acids, which help your cat have a healthier skin and coat. Very important if your cat has taken any antibiotics and steroids. NotaSAN Drops Natural homeopathic formula that fights infections and is very helpful for improving allergy symptoms, scratching and itching. Can be used safely long-term to prevent recurrences. ProAller is especially helpful for environmental allergies. Controls allergies, reduces itching and when combined with NotaSAN Drops, can reduce odor and red spots. Cats with dandruff and allergies can benefit from a hypoallergenic, low carbohydrate diet. Best options are to eliminate dry food (high in starchy carbohydrates) and choose a raw frozen or freeze dried raw novel protein diet in combination with some canned. Some proteins such as poultry are an allergen for many cats so avoiding common food allergens is very helpful. Ask Ariel Pet Nutritionist will include a free diet suggestion on the packing slip that comes with your products. Include your cat's diet on the order form at checkout along with any other health conditions your kitty may have.